These are Gaiman-style retellings of the Prose Edda, and fairly straight on from the source material. They're modernized, of course, and they've got the well-crafted rhythm and pacing that you expect from NG. After just reading thru Snorri's version, there's not much new here. But if you don't have patience or stomach for Snorri's version, this is a great telling. I expect it will become the go-to version of these Norse myths. 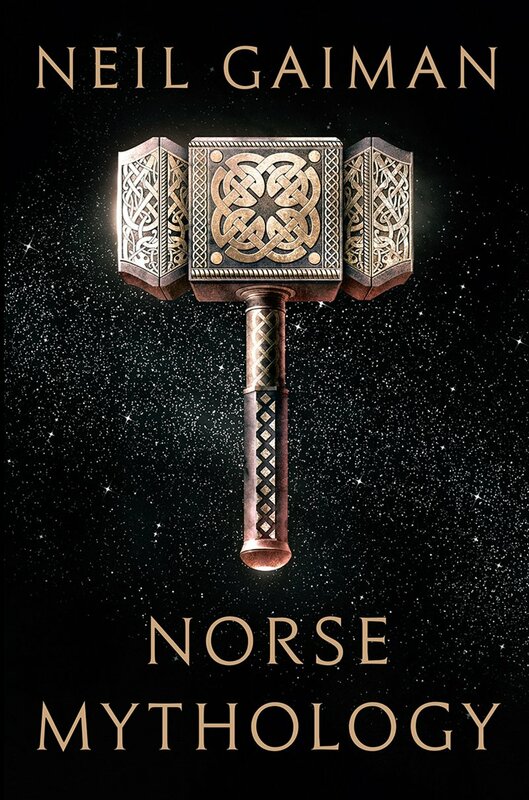 I'd also just finished reading Nancy Marie Brown's Song of the Vikings, and she opens each chapter with a retelling from Snorri, and they are tonally very similar to Gaiman. If I was her, I'd be mad. [Loki] is tolerated by the gods, perhaps because his stratagems and plans save them as often as they get them into trouble. Loki makes the world more interesting but less safe. He is the father of monsters, the author of woes, the sly god. “In their huge bedroom that night, Tyr said to Thor, "I hope you know what you are doing." “Cease your weeping!" he said. "It is I, Loki, here to rescue you!" Idunn glared at him with red-rimmed eyes. "It is you who are the source of my troubles." she said.